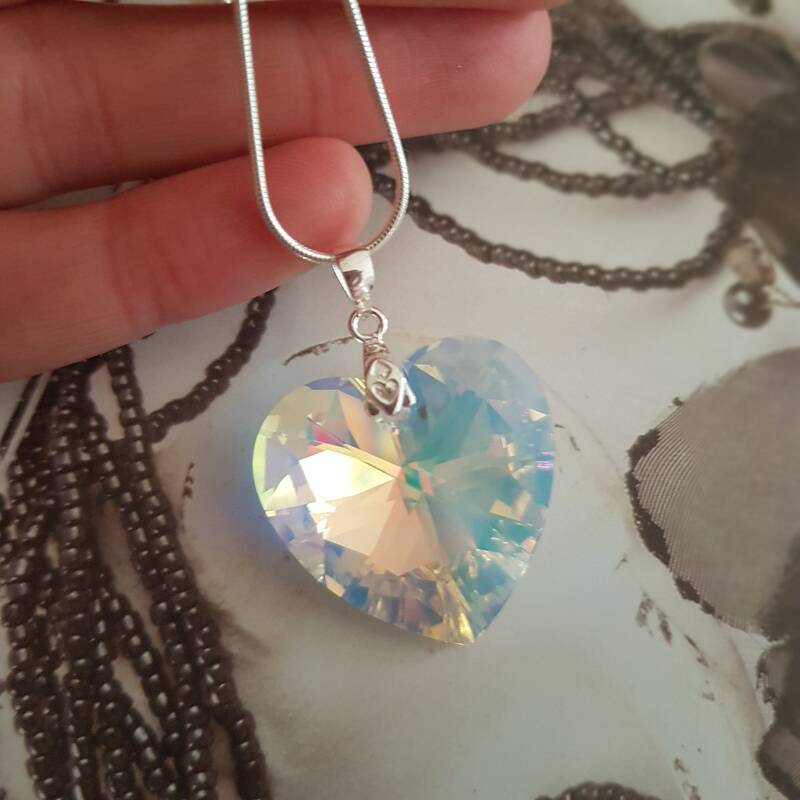 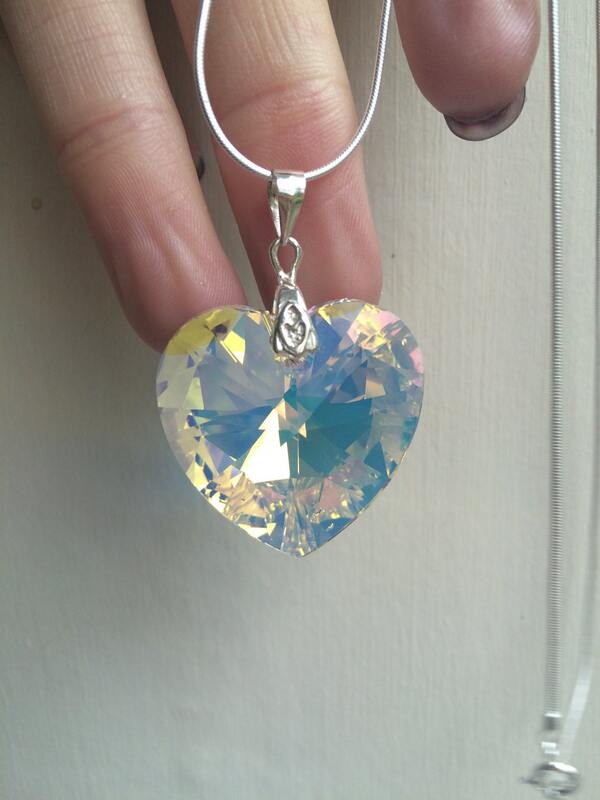 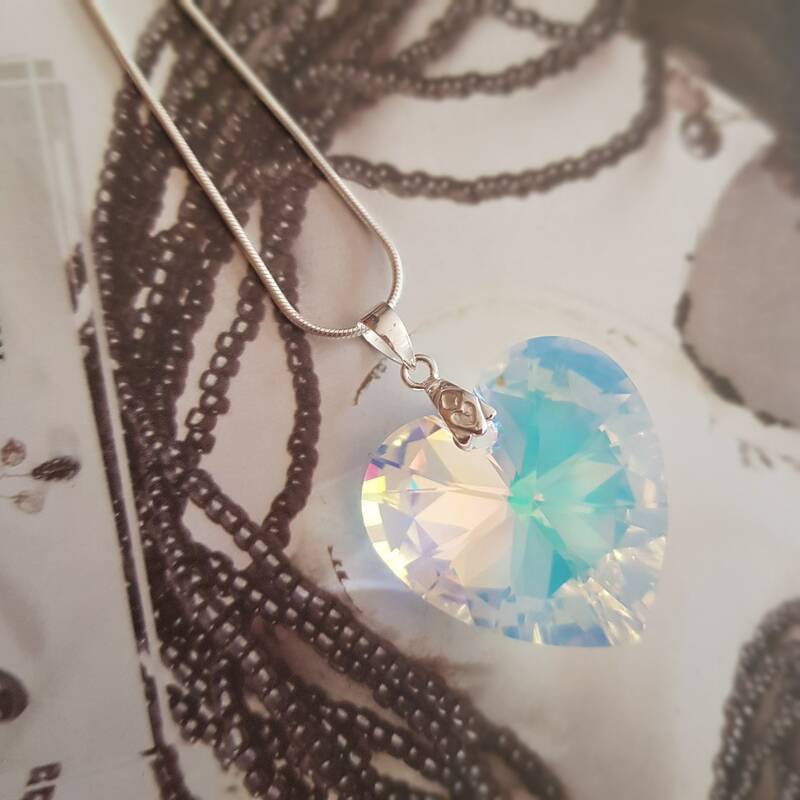 Gorgeous large 28mm AB Swarovski crystal sparkly heart pendant on a beautiful Sterling Silver bail pending from a Sterling Silver snake chain or shimmering Sterling Silver Diamond cut ball chain in a 16" or 18" length, please make your choice above. 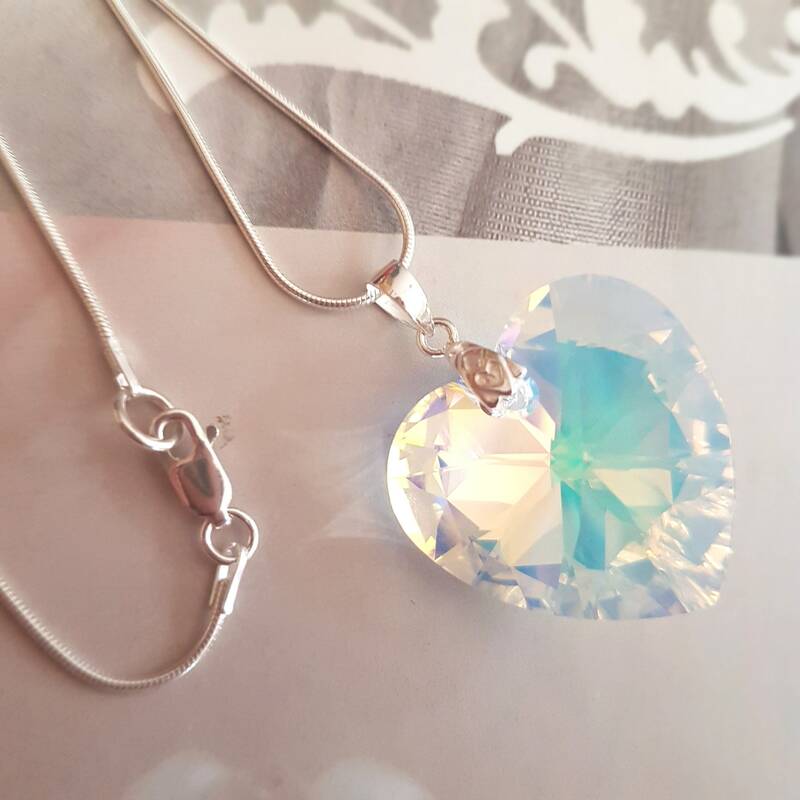 This necklace can also be customized for you on a fine shimmering oval link chain in the length of your choice. 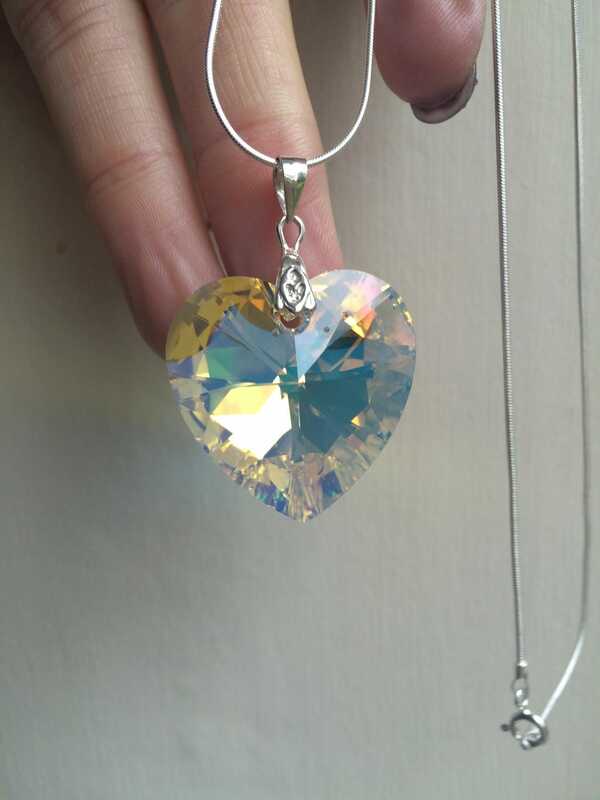 AB crystal changes colour depending on the background, so depending what colour top you wear as it picks up on the background. 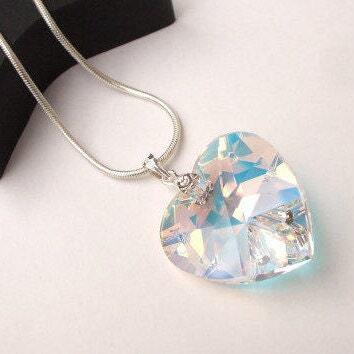 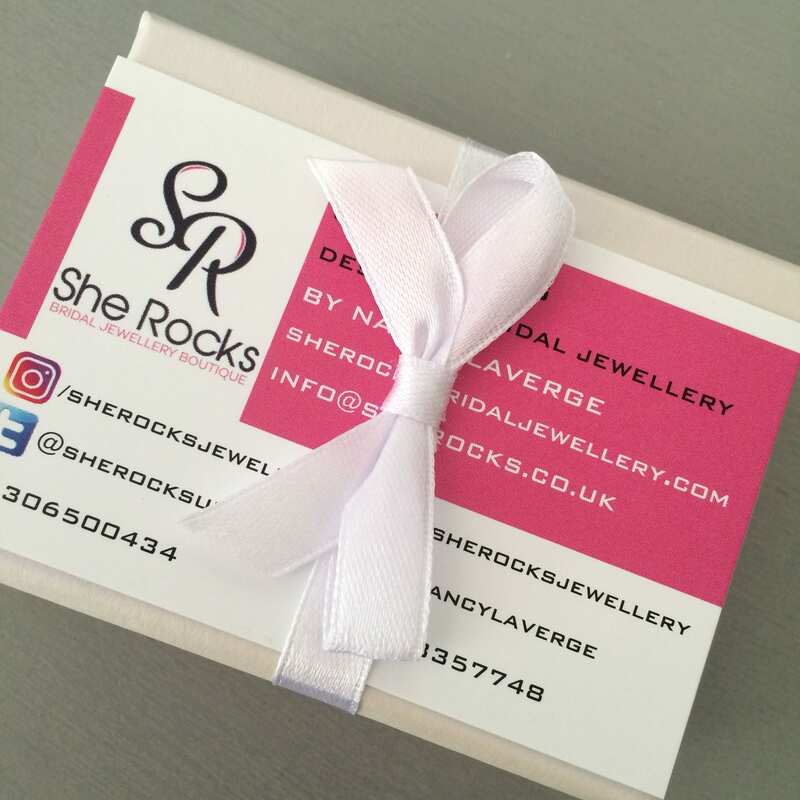 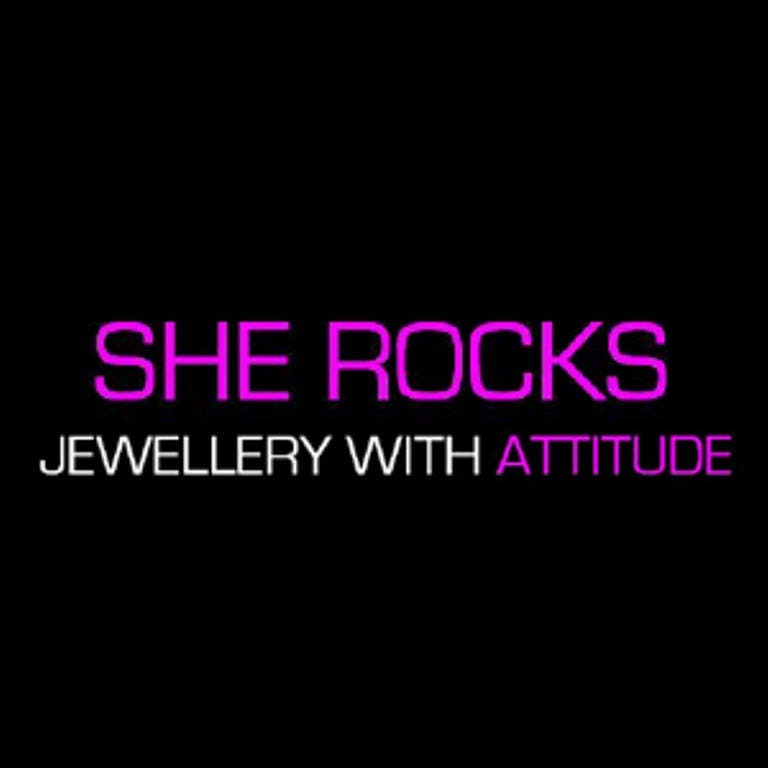 The necklace will be presented in a pretty gift box with satin bow ready to make a perfect gift to a loved one.